This article aims to help users remove Ads by Offerswizard (AKA OffersWizard Network System Driver) from Chrome, Firefox, Internet Explorer and Safari, as well as their respective system. Ads by Offerswizard Network System Driver is a type of virus of the Adware variety. The name originates from the words ADvertisement and MalWARE and these keywords illustrate well the main functions of Ads by Offerswizard Network System Driver. It creates a large amount of Ads and displays them on your browser without your permission and the only way to turn it off is to remove it from the computer altogether. Please be aware that Ads by Offerswizard Network System Driver may advertise goods for which you have recently displayed interest and also in shops you visit frequently. The virus is able to do that because it reads into your browsing history and search keywords and analyzes your behavior. Remember that when you click on an Ad by Ads by Offerswizard Network System Driver it is possible to be taken to a site, which looks just like some well-known online store and possibly even have a very similar URL or domain. This is a well documented scam method known as phishing. The hackers rely on you to try to log-in into the fake copy site, record your account and password and log themselves into the real site. From there they can try to drain your credit cards, make purchases in your name and whatever other havoc they can think of. For these reasons we strongly recommend you stay away from Ads by Offerswizard Network System Driver and the Ads it shows you. If you are wondering how was your computer infected with Ads by Offerswizard Network System Driver then the most likely answer to that question is – you unknowingly and unwillingly installed it yourself. Viruses like this prefer to use deception instead of brute force and will masquerade as different programs or use the installers of 3rd party programs as a backdoor. This is one of the biggest negatives of the bundling practice – when one installer installs more then one program it is always possible that the extra program be a virus. Originally this feature was developed so program creators can send in demos and trial versions of their other programs. Today it is often used by Adware makers to add their virus to the installers of free programs or even retail software that is downloaded through torrents or warez. 2: Remove Ads by Offerswizard Network System Driver from Chrome, Firefox, Internet Explorer and Safari. 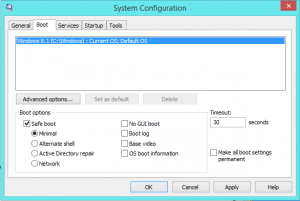 5: Permanently remove Ads by Offerswizard Network System Driver from Task Manager’s processes. Before you begin the removal process you need to know that Ads by Offerswizard Network System Driver exists in multiple versions around the internet – that means the same virus could be removed with one set of instructions from one computer, but require a different set for another. We’ve added all known and needed instructions to the guide below, but this also means that some could be redundant for your version of the virus. You will know that is the case if you don’t see Ads by Offerswizard Network System Driver on the menu the guide sends you to. If you are absolutely certain you did everything according to the instructions and don’t see Ads by Offerswizard Network System Driver then just move on. Now you have to delete Ads by Offerswizard Network System Driver from your internet browsers. To do that run Step 2 and Step 3 for EVERY browser installed on your computer. Emphasis on every, as this also includes browsers that are still installed, but no longer in active use. Leaving even a single copy remaining can allow the virus to reinfect everything you just cleaned. Find Ads by Offerswizard Network System Driver . Remove it by pressing Disable. Ads by Offerswizard Network System Driver should be somewhere around here – Remove it. 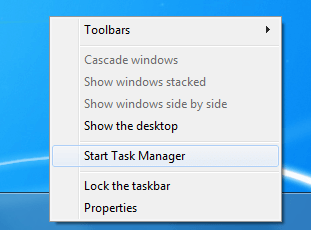 The next step involves manipulation of the Task Manager and deletion of system files. 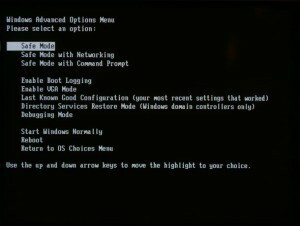 Be careful as making a mistake could result in damage to your OS or other valuable programs. If you are unsure of yourself it may be better to download a professional Ads by Offerswizard Network System Driver remover we recommend. Additionally, accounts connected to your credit cards, or important information, may be exposed to other viruses, which Ads by Offerswizard Network System Driver might have let in. You can use the scanner to locate and delete those before your data comes to harm. Who puts this malware on my computer???????? There are several ways for this to happen, all outlined in the article. Most likely you either installed a free program, which was bundled with the malware, you opened a spam email attachment, or accepted a cookie from a malicious website (cookies are the things that track your browsing history and remember you passwords, stuff like that – many websites use them).